While most theaters are "dark" following Christmas, the Ujima Theater Company is throwing a Kwanzaa party tonight, Forest Lawn Cemetery Chapel is presenting the final three performances of IT WAS A WONDERFUL LIFE, Desiderio's has performances of LADIES FOURSOME through January 20, and the Kavinoky Theater is busy rehearsing SPAMALOT which opens in just two weeks. 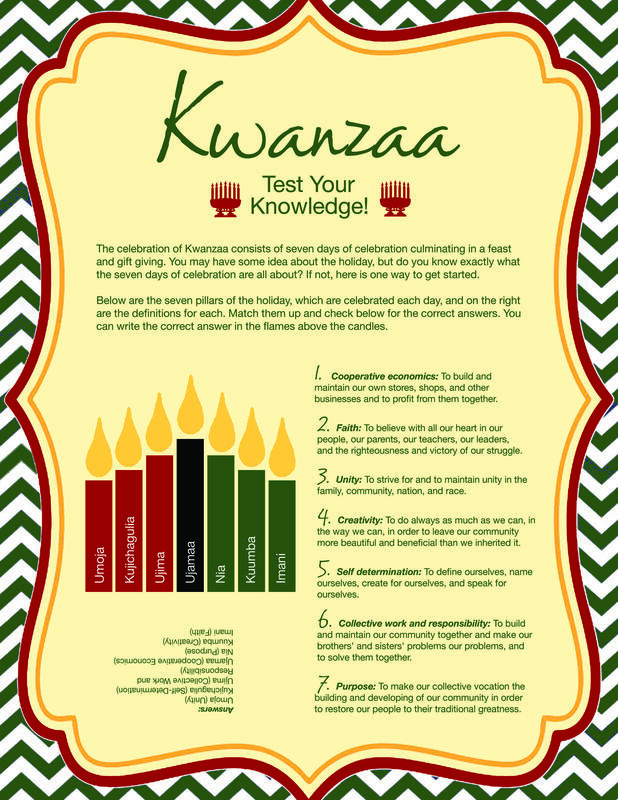 Kwanzaa, which began on Wednesday, celebrates "Ujima - Collective Work and Responsibility" on the third night, which is this Friday, December 28. There's a party and everyone is invited. KWANZAA PARTY for Day #3 "Ujima - Collective Work and Repsonsibility" sponsored by Lorna Hill and the Ujima Theater Company at People United for Sustainable Housing, 429 Plymouth Avenue, Buffalo, NY 14213, Friday, December 28 from 7 to 9, free and open to the public.